This lightened Classic chicken salad made from scratch uses far less mayonnaise that most recipes call for. It comes out tender and delicious, perfect on a bagel, served over lettuce or in a wrap. 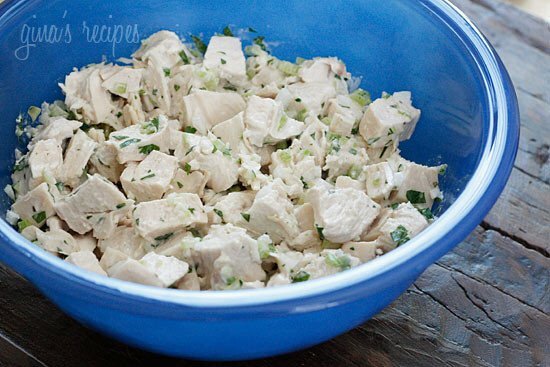 I have so many chicken salad recipes here on Skinnytaste because it’s on of my favorite things to make ahead for lunch, from Cilantro Chicken Salad, Chicken Waldorf Salad, and Chicken Salad with Lemon and Dill, to name a few. I always make my chicken salad from scratch by cooking the chicken breast in chicken broth and I usually add some onion, parsley and celery to the broth to give the chicken a lot of flavor. Using light mayonnaise and some of the broth keeps the chicken salad moist without having to add too much mayo. In a medium sauce pan, place chicken, half the celery, half the onion, parsley and cover with water. Add bullion and cook on medium flame, covered for about 15-20 minutes, until chicken is cooked through. Once cooked, remove chicken and let cool. Reserve chicken broth. 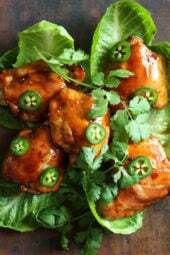 Cut chicken into small pieces and place in a bowl. Add onions, celery and mayonnaise, 1/8 cup reserved chicken broth and mix well. If looks dry add 1/8 cup more. 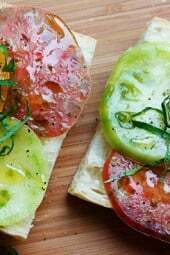 Serve on a bed of lettuce, in a lettuce wrap or on your favorite bread. Wonderful and simple chicken salad. Love eating over baby spinach and with other veggies. 2 chicken breasts?? Approx what weight did you use? I’m going to make this with greek yogurt. whats the converstion for 1 bullion to chicken broth? Gina – how many ounces did you use for chicken breasts? Thanks. I’m sorry Kerri, as this is an older recipe, I don’t have it down in ounces. I made this last night, it's delicious! I'll be taking it to work for the rest of the week. Anyone who makes this should be careful, though, and add up their own points. The chickens at my grocery store must live next to a nuclear power plant, because each breast is 16 oz. I was looking forward to how much I'd be getting for five points until I did the math myself: my servings end up being over twice as many points. I'm bummed to have to cut the servings in half, but am still hoping they'll keep me full. What a great idea, cooking the chicken in chicken broth! I think I'd just sub the mayo for avocado to avoid all those pesky additives. Hi' thanks for the recipe! Super easy love it. My intentions were to have enough for lunch the following day but that didn't work. It was gone in less the. 10minutes. Next time I'll double It up. I also added apple to it. It was yummy! Are the two pieces of chicken breasts 8 ounces each? if i double the recipe do i double the chicken bullion or still put one cube? I'm going to have to try this one! I LOVE Chicken Salad. Long ago, when I worked for fast food chicken restaurant, they added a splash of Worcestershire Sauce and honey to their chicken salad. Wonder if that would work here. Yummy! Was delicious!! How much chicken? What is the serving size? I just did 1/2 cup serving but didn't have the actual pts. value for that? I used a pound of chicken breast. do you know if you can substitute the mayo for non fat greek yogurt? does it taste any good? i'm not a very big fan of mayo and am trying to eat healthier! Any updates on this? How many ounces of chicken?? What do you do with the onion and celery you cooked the chicken in – is this discarded and add the remaining half? hi gina – how many ounces of chicken do you use? Gina can you please update this recipe for us? The weight of the chicken and the WW+ points or the status. I tried plugging it in to the builder but it doesnt seem accurate to me. I got 5 ww+ points per service. Still great but would rather be certain. Just made this and it was yummy, yummy, yummy!!! I've always been leery of "lite" products but the Hellman's lite had just as much flavor as the full-fat stuff. Hubby wolfed it down (I didn't mention it was "lite"). Very tasty! Do you know how much chicken in weight? This looks amazing and I can't wait to try it. Is the serving size a 1/2 cup? Also, do you happen to know the new points+ value? I used this as a replacement for my Mother's full fat recipe and added a little old bay for a nice spicy Maryland kick. Even my diet food hating fiancee loves it! Hi Gina, I just found your website and I LOVE it! 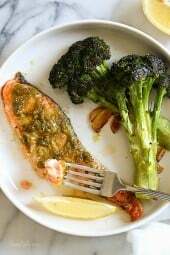 I have made three recipes for my family for dinner already and we loved every one. Can you help with the portion size on this chicken salad? How many ounces of chicken or how much finished salad. Thanks! I just found this post & cannot wait to try this! I love chicken salad & have never made my own from scratch! This sounds amazing & gives me a new option for a lunch for both myself & my daughter!! Thanks!! This was delicious. Seedless grapes would be a great addition also, or pineapple chunks. The great thing is that you can't even tell it is made with light mayonnaise. For a sandwich I used Pepperidge Farms deli flats for the bread, lettuce and tomato and had a 4 point sandwich! I love apples in my chicken salad! Thanks for sharing, I'll have to make it with apples soon and post! I've been reading your blog all morning and sharing it with friends that are on WW. 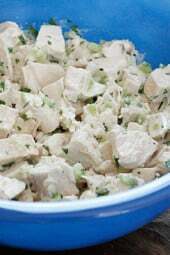 My fiancee LOVES chicken salad and makes it really good…add apples to your Chicken Salad and it fills you up! I’ve been up and down your blog and I have just finished licking the computer screen.Wish I had smelly vision.